Those planning to attend St Stephen for Palm Sunday should be aware that the liturgy will begin at 9:15am. Thanks to a Friend for sending this to Cleveland TLM Friends! The Relics of the Passion is the signature collection of the Apostolate for Holy relics. 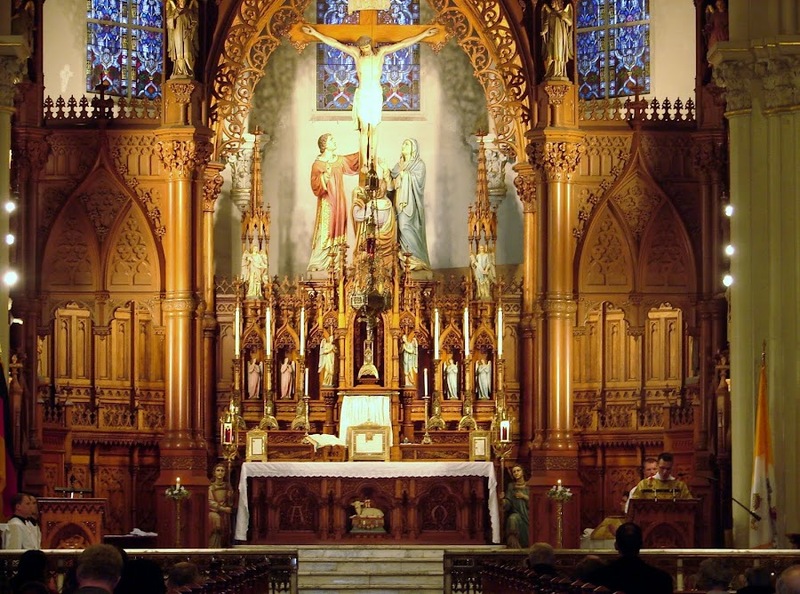 Reviewed and authenticated by Church authorities prior to their first public tour in 2007, the Relics of the Passion have been venerated in more than 20 dioceses in the United States, Guam and the Philippines, where more than a million people came to see and venerate the rare relics. Although the presentation and veneration of the relics has remained the same, the supporting program that highlights the events of Our Lord's Passion has been gradually enhanced over the years and now provides for a one-hour meditative program with supporting musical pieces. Having a number of significant holy relics in one place is relatively rare and does not often take place outside the Holy Land or Rome. The faithful have continually exhibited a significant level of participation and have conveyed sincere words of appreciation for the positive spiritual experience they have had during and after attending our programs. On Sunday, March 4, and Monday, March 5, the relics of St. Pio will be at the Cathedral of St. John in downtown Cleveland. What a beloved Saint of the twentieth century!